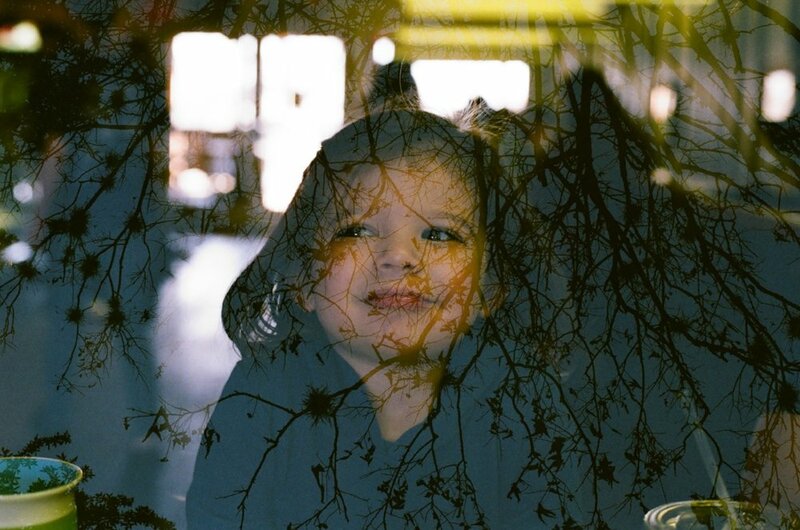 January's theme for Epic Film Project was double exposure. So I used it as an opportunity to do something I've wanted to try for a while... I ran a roll through my camera twice! I convinced myself that I totally messed up aligning the roll the second time, but I didn't! I actually nailed it! (I put a mark on the negative where it hit the sprocket and made sure I lined it up in the same spot both times). I shot these with Agfa Vista 400. I rated each time through the camera at 800 and developed it at 400. With exception of the photo of my daughter riding her bike, I photographed background/texture first then photographed portraits/details second. Definitely going to try this again. I'll probably try to shoot both times outside to get some good light.